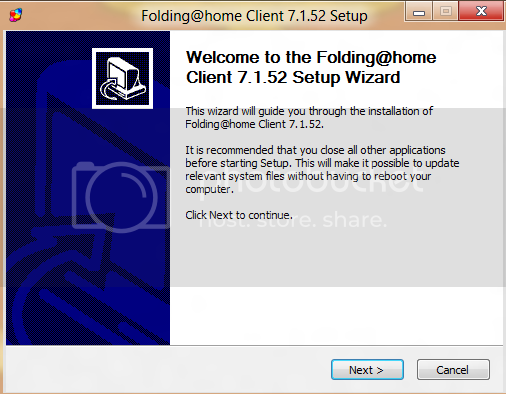 Welcome to Tom's Hardware Folding@Home 40051 Team Guide! 1.1 What is the goal of F@H? 1.2 How does F@H work? Please come in and join us against the fight of these diseases that affect many people! 1. What is Folding@Home (F@H)? F@H is a distributed computing project that runs on many computers that's provided by people like you to simulated protein folding and misfolding. ■ 1.1. What the goal of F@H? The goal of F@H is to figure out why when proteins misfold, they create diseases and cancers, such as Alzheimer's and Huntington's and find a ways to cures them. More details here on F@H Science Page. ■ 1.2. How does F@H work? F@H work by sending packets of data called Work Unit’s too computers that people provide for project. One of the first things you'll want to do is decide what name you'll want to use for the project. Most people will use their forum name and that normally fine. Although you may need to check to see if someone else is also using the same name. 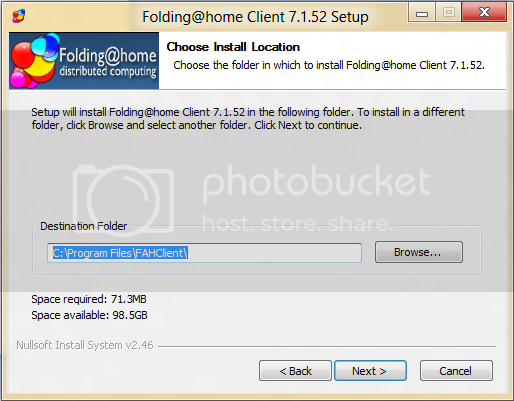 After you've settled with a name, you'll need to get a F@H client from F@H download page. NOTE: if your only doing the web version of F@H (google chrome only), you do not have to download anything. Jump to section 3.4 for further details. If the OS and/or OS bit you are using is not showing or your downloading F@H to another computer, you can click on "	See all downloads" like and all download options will be available below. Once you've determined your OS, the proper client for it, and downloaded it, You'll want to do one more thing before you install the client. You'll want to get a Passkey. 1. This will bind your User name with a WU, allowing you to earn bouns points on WU's you complete. 2. This will prevent someone from impersonating you with the same username and possibly having your account delete because of that individual actions. Each OS will have a slightly different way of installing so each one will have there own installing selection. All these installation guides will focus on the newer Version 7 client. If for any reason you need the older Version 6 (V6) client, you'll need to ask about that for any assistance. Once you click on that and go through all of windows warning/permission messages, you should see a page like this. Click next and next again after seeing all the legal stuff. Now you'll encounter a page asking you about “express install” or “custom install”. I would recommend a custom install as that will give more option to control the way F@H acts on your computer. Click next and you'll be ask to install “just for me” or “everyone”. It doesn't really matter which way you do it but pick whats best you. Next 2 pages you got “where to install the files” and “were to put want to put the directory files at”. Leave these at default and continue on. On this last list of options before installing, this is asking you how you want to run F@H when the computer starts up. 2. Start as a service on boot. Selecting one of these 3 options will vary for your needs depending on if your a 24/7 folder or not and how you interact with your computer. The option on the bottom for the F@H screensaver, if your going to fold on a system that wont Fold for 24/7, then enable this option. It will allow you to take advantage of the idling ability the software has. More explanation on that later when we talk about the "F@H Power" slider. If your system is going to fold 24/7, then you dont have to worry about the option. Once that all done, click install and everything should run just fine. This is currently the only method of running F@H without having to install any software (besides google chrome). It has a simple interface that allows new users to join the F@H community with very little setup and give them a feel of what F@H is like. The Web Client currently only works on the PC google chrome (it does not work on Android Google Chrome) and it only uses the cpu. 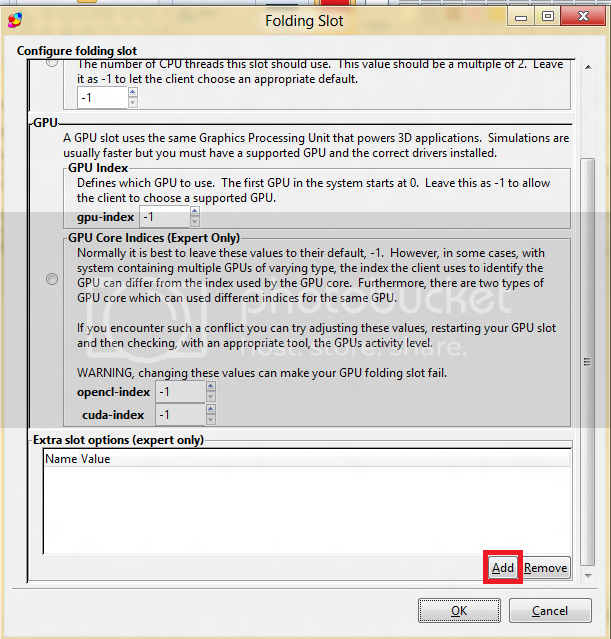 (folding capable gpu's will need to use the desktop program). Because of the simplicity of the Web Client and major differences to the desktop client, Full setup for the web client is in the the spoiler below. 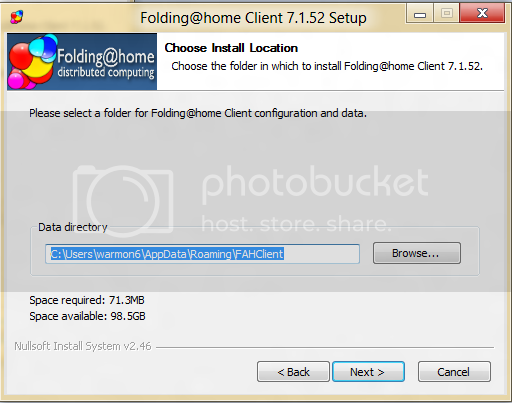 NOTE: this is not the web client that you find when you install the FAH desktop client. This is separate client. The url has the team number already filled out (for Tom's Hardware) so you dont have to mess with that at all. Just fill in your username and passkey and you'll be all set. Also dont forget to click the save link. It wont apply your username and passkey for the current Work Unit till you do. As for controlling the amount of cpu cores used, you'll have to use the folding power slider to control that. It acts a bit differently than the desktop version in section 4.5 based on my observation so here is what I've seen. The V7 client as many features to offer users to enhance or improve the way F@H runs on their computers. After starting up F@H Control for the first time, the program will prompt you to either fold anonymously or configure your identity. As a member of a team, you'll want to click on "Configure Identity"
On this window, You'll enter the username you decided on, the team number (40051 for Tom's Hardware! ), and your passkey that is in your email. Slots are an organize list that show what hardware the client is running on and shows what WU are running on each slot. 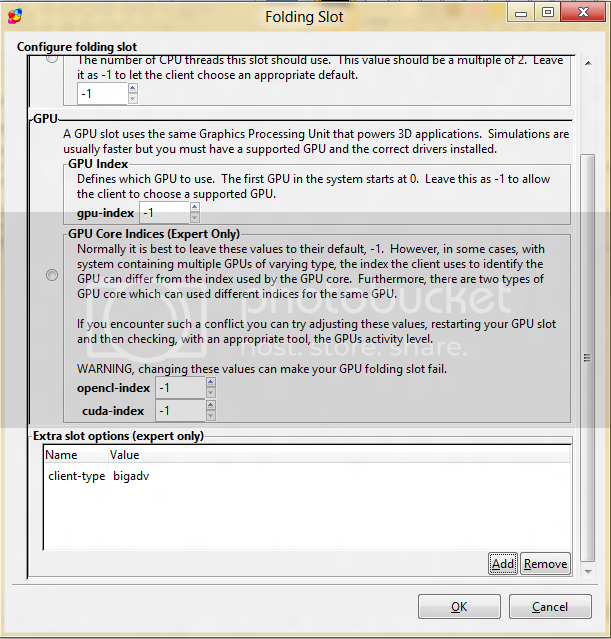 Slots are configured to run on either a GPU or CPU. So if you have compatible hardware and have 2 gpu's and 1 quad core cpu, you'll see 2 gpu slots and 1 cpu slot. The cpu slot can use all the cores and threads that are available to the system. So a single dual core cpu to a 4-processor 16-core Hyperthreaded cpu will be under 1 slot. Gpus however run under there own slot. So 2 gpus will use 2 slots. 2 dual gpu cards (R9 295x2 for example) will use 4 gpu slots. Each slot can be configure to run differently from other slots. You can manually set them to different states (like "pause") or you can setup flags for more advance configurations. Flags are covered in the next section. There are 4 states you can manually set the slots. You can right click the slots to set the state. Paused: Work Unit has been paused part way though. Finish: Hardware being actively used but will stop when Work Unit it done. On idle: Hardware is paused while User is doing something on the computer. Folding will resume when computer is siting idle (Typically when monitor screen turns off). To add additional hardware, remove hardware, change how the hardware is used, or add flags to the slots, you'll need to click on the "gears" configure button in the top left corner of the screen. A window should appear and then you'll need to click the slots tab. The add, remove, and edit buttons should be self explanatory so we will just look into a little bit of editing a slot. So highlight a slot and then click edit (or remove if you want to get rid of it). As you can see here, not a lot here but the biggest change the a user can see would be editing the cpu slot to control the number of threads/core used. Flags are a additional way to control or extend F@H usability to run. Things like having it can only work on 5 WU's and then stop or work on WU's that are in advance stage of being release but isn't available to the general public yet. Here are all the flags that control V7. 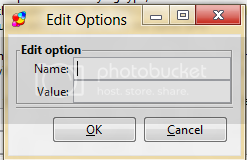 Next, click on the configure button and After that go to the slot tab and select the slot you want to modify. Click on the edit button below and another window will appear. To insert that, any thing with “--” means that goes in the “Name” field. Anything after “=” goes into the “Value” field. It should look something like this if you put everything in correct. After you hit ok and you should see all the info you typed in. If it there, then everything is good to go once you restart the client. One of the new features of F@H is the ability to have 1 client to control all the clients. Say if you have a whole bunch of computers (even if there across the internet), your life can be simplified by controlling them all with 1 computer. The F@H power slider are preset power profiles (base on your hardware configuration) that determine how much of the hardware is utilized by the program and if it should run or not (if your on laptop or desktop with a UPS attached by a USB cable for example). While the number of CPU cores being utilized and the gpu's will act differently on each system, here is what F@H has to say about the different levels. Light	CPU is Folding at half speed, GPU Folding is off. Medium	CPU is Folding at three-quarter speed. GPU Folding is on. This is the default setting, and recommended for most users. Full	CPU is Folding at full speed. GPU Folding is on. This is the most productive setting. Will cause fans to run faster and may produce more heat. Sigs are the best way to advertise the team without having to do much work. While you don’t have to place a F@H banner in the sig, it would be nice to have to help the team grow. NOTE: If your a new folder and haven't completed any Work Units, you will not be able to add the Piro or EOC stat badges to your sig till after you complete at least 1 WU. Then you'll have to wait for EOC to update their database (once every 3 hours Central Time). Once updated, you'll then be able to make your stat sig. You’ll be able to edit different kinds of setting on this web site like the color of the badge, different icons, ect. Those numbers are your id that you need to insert into your User ID slot. After that, copy and paste the badge into your sig box BUT DON’T SUBMIT YET! You still have one more thing to do. To reduce the size, you need to find the first “/0/” in the URL and place a 800 there. Same as the Pico badge as above but give a more simplistic look and has a shorter URL. To get this, first you'll need to grab the URL. At the end of the URL, you'll need add your EOC ID. So after that, your link should look like this. So to shorten it, You'll need to add "&bg=1" at the end of the URL. There you have it, you can add it to you sig box, place the (without quotes) ["img] ["/img] and each end of the URL and you should be good to go. Now you can add color if you want. The way you change the color is simple. All you need to do is add "&cX=XXXXXXX" at the end of URL. The Bold X represents the values. And after the =, those are selecting the color. To select the color, you need to know the HEX VALUE of it. While there many web sites list the Hex values for color, I personally like this one. Now you dont have to edit all the colors if you like some of the default. Just only add the values you want to change. If you want to make another badge or banner to show your support for the F@H project, there should be no problem making such except for 1 condition. The size of the Sig has to stay in a 400 x 75 size limit. Tom's F@H team started back in October 10, 2004 and was founded by “priyajeet”. We're a small, delightful group that's easy going and loves the company of other folders. We currently have a 5 member Committee that oversees how THGC team runs. 2. Follow the Tom's Hardware forums rules. What do all these crazy letters like “WU” and “PPD” mean? PPW = Point per Watt or Points per Week. WTF! = Way to fold! What is Bonus Points and Qualified WU's? Bonus point is when you turned in WU earlier than what the deadline says and you earn extra points because it. Qualified Wu's mean certain WU's that can be turned in early for bonus points. Except for some older Single core CPU WU's and older GPU WU's, All WU are qualified for bonuses. While the F@H group doesn't "officially support nor oppose overclocking", you can overclock and gain more points. The catch is however that F@H is more sensitive to instability than most other stress programs will detect. Even if your computer is "Prime 95 stable" for a week straight, it isn't 100% fool-proof on the cpu when it comes to folding. F@H recommend using these stress programs that closely mimic how F@H run for both your gpu's and cpu's. Thanks to anyone and everyone that has or still supports the Toms Hardware Folding team, without your continued input and support this guide wouldn't be possible! warmon, I'm going to add my guides to the bottom. Let me know if you need me to delete them so you can have more consecutive posts (or once they are integrated). #This Guide assumes that you are using Ubuntu. I have tested it on Ubuntu 12.04 with great success. 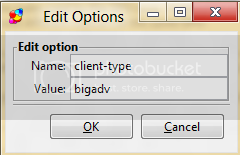 #I use the V6.34 client for BigAdv folding as it is the easiest to setup and most of the older guides use it. V7 should work as well, though I have never tried it on my 4P. #This was tested on a Tyan S8812 with 4 x 6172 AMD 12 Core chips (48C total). It should work on similar systems; however the performance of the sensor software may vary. -> Use the ext3 file system, not the default ext4, for at least your home directory. This will cut a good bit of time off of final post-processing which can be long on BigAdv. #This guide will work (with some modifications) for other Linux Distros, however regardless of which you have you must have the 64-bit edition. --> You will be prompted for your username, team (Tom’s is 40051), and passkey. The only other parameter you need to change is WU Size from normal to big. The client will then exit. #lm-sensors gives more, but not always correct, sensor readings. For a very clean output of processor temperatures only, go to the next utility, Turion Power Control. [fixed]# /etc/modules: kernel modules to load at boot time. ---> Then press ‘Ctrl X’, say yes (Y) to whether you want to save changes, and leave the original file name so it overwrites the existing file. -> Both cores need to be downloaded before the install can continue. The best way to do this is to start the client and let it complete a unit. Skip to Step 7: Running the Client and run both a normal SMP and a BigAdv WU before coming back to this step. #The Kraken will now autostart when you next start up the folding client (which is the next step!). When the client first starts up, The Kraken will create ‘false loads’ to try to get Dynamic Load Balancing (DLB) to enable. The false loads will disappear after DLB engages or after a set time period. DLB is a very good thing for your TPF for both SMP and BigAdv. The Kraken does a good job of getting DLB to engage on BigAdv, but I’ve had trouble with it getting DLB to engage on normal SMP. Thanks to http://www.amdzone.com/phpbb3/viewtopic.php?f=521&t=138463 for the code and directions. #To stop the client, press ‘Ctrl C’ in the terminal. DO NOT do this while your hard drive light is flashing (solid) if you want to restart this WU later. If your hard drive light is solid it is likely writing the checkpoint file. If you stop it now, you will likely corrupt that file. #To get rid of a WU that you have been working on, stop the client then delete the work directory, the queue file, and the unitinfo file. #If a WU keeps coming back and you don’t want it (for example, if it is a defective WU that has been reported to the official Folding at home Forums but not yet removed) you must also delete your machinedependent.dat file and restart the client. Here is a first draft of the Linux V7 Install Guide. Let me know what you think of it, what you would have done differently, etc. -> Once Ubuntu is installed, log in and run the Update Manager. The Update Manager is launched by clicking the Ubuntu icon in the upper left corner of the screen and typing ‘Update’. The update manager will then appear in the list and you can start updating. ->After the Update Manager completes you can also install extra drivers. To do so, click the ‘System Settings’ icon on the left (the wrench and gear) and then select the ‘Additional Drivers’ icon. -> If you run into any trouble, particularly if you are dual-booting, ASK for help. We’ll be glad to help, and I have broken the Linux/Windows bootloader about every way possible, so I know some of the ways to fix it. #This guide will work (with some modifications) for other Linux Distros, however regardless of which you have you should use the 64-bit edition if possible. -> Go to https://fah-web.stanford.edu/projects/FAHClient/wiki/BetaRelease (You may get a ‘This Connection is untrusted warning’, but that is OK). -> For Ubuntu 12.04 64-bit, the appropriate files are circled below. Download both to your downloads directory and save them. -> Click Install and enter your password. It will warn you that the package is of bad quality. Tell it to ignore and install anyway. 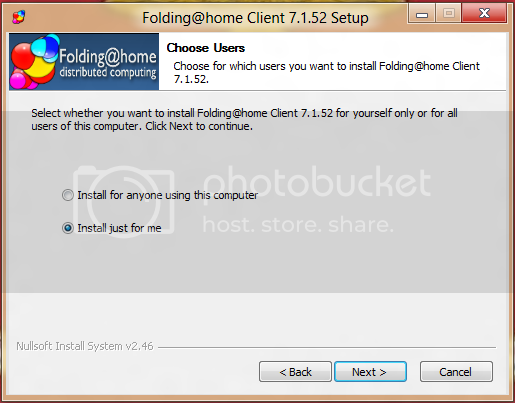 -> Enter your folding information, including passkey (which you should get now if you haven’t gotten one already). Also, you should select SMP from the menu at the bottom and Uncheck Autostart FAHclient. 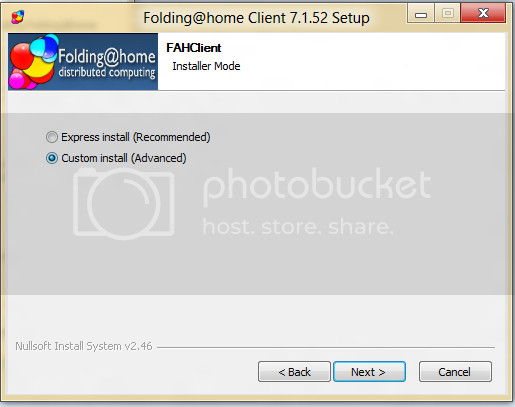 -> Once the installation is finished, close Software Center and double click the fahcontrol_7.1.52-1_all.deb installer. This will again open Software Center. Again press Install and enter your password. This program will install without asking you any questions. Once it is complete, close software manager. ->Now, click the Ubuntu icon in the top left corner and type ‘fah’ and then select FAHcontrol from the list. -> The following window will appear. Nothing will happen, but that is ok.
-> First, if you prefer it, change the mode from Novice to Expert (top right corner). -> Then, go to Preferences (top left) and place checks in ‘Show Project Info in Advanced’ and ‘Autostart’. The client will now start, However your user and team info is not yet present! -> Stop the client by going to Configure -> Slots , select the SMP slot, select remove, and press save. The client will stop and dump. -> Once it has stopped, go to Configure -> Identity and enter your username, team number, and passkey. -> Then go to Configure -> Slots and add a new SMP slot. -> Click ‘OK’ then ‘Save’ and the computer should start Folding! you want to pick "sensors only"
then check off the box for "if sensor is > "
then I checked off "run a program"
"shutdown.exe -s -f -t 00"
Just passing through to say I wish F@H all the very best of luck and I'll join in as soon as I get some decent bandwidth around here. Some days I struggle just to get the day to day stuff to stick if I'm lucky enough to get one meg of ADSL and a tenth of that uploading. It's over ten years since I got ISDN in my old house and joined in the SETI project which used my system when I wasn't taking up too much space on it but going Broadband dropped my bandwidth if anything and then moving here made matters worse. I'm following this with extreme interest and have a couple of old servers I could recycle for the purpose - if and when fibre optic ever comes near me. I hear you. Kinda in the same boat at the moment. Uploads is better for me but there been something going on with my ISP for the past few months that my speeds have dropped from 5mb/s to 1~1.5mb/s on downloading and from 1mb/s to (if im lucky) 500kb/s. Combine that between 5 family members (was 6 till my dad left for a new job in the DC area) and we have the recipe for really slow internet. Well, once you got that all done, come in and join the bandwagon. Heck, even if your not folding, you can still come in and talk with us on our thread (link to the thread is combined with the sig image!). edit: I can't seem to get my sig right with the TH banner..
Great! Glad to have you onboard. Be sure to check out our other thread, where most of the 'discussion' takes place. Thanks I will definitely check that out! Just joined the Tomshardware F@H team. Folding with an i5-2500k @ 4.4Ghz and a GTX680 @ 1338 on the core. I will soon have my Spare gaming PC folding as well, with its i7-920 @3.9Ghz and a pair of GTX 550ti's @ 950 on the cores. I like the idea of helping to find a cure, and scoring points for my favorite Tech website. Go Toms!!! I feel your pain King smp. I recently lost an uncle to lung cancer. Wow, sandy xeon? Really nice of him. Sorry to read of your loss, king smp. You'll be going through a really tough time but doing do much for the Folding projects and knowing how much it will help the research must be a comfort.